Hey Twin Talk Readers! 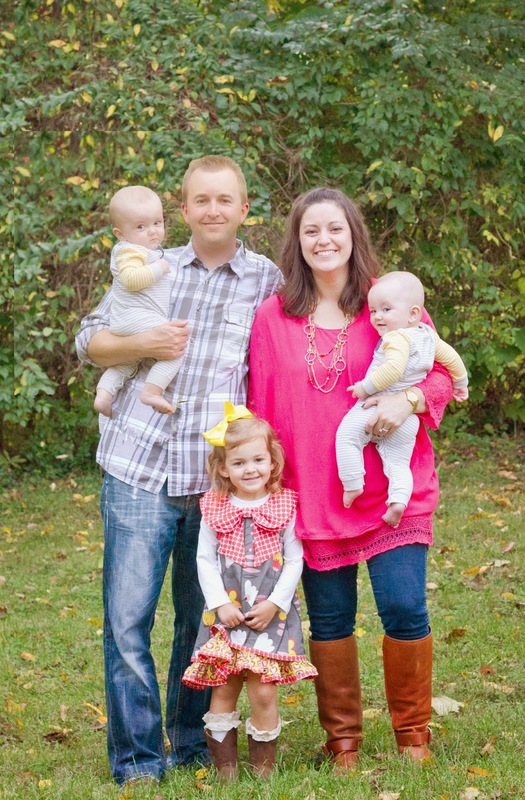 I am Allison, mom of 8-month-old twin boys, Gatlin & Houston, and a 3-year-old daughter, Harper. 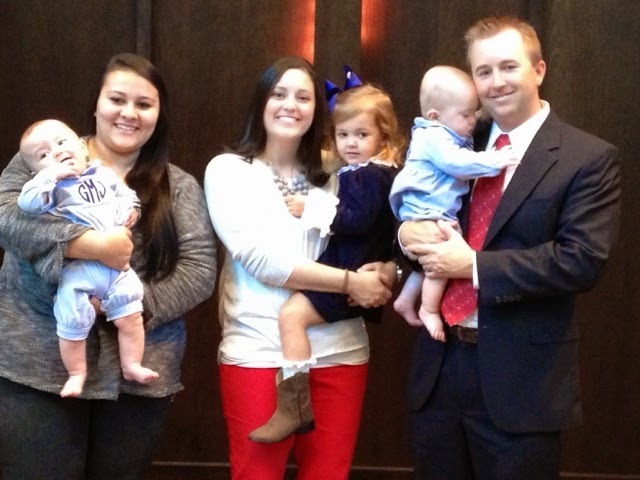 I am excited to share with you our childcare situation and why it works for us. My husband, Josh, and I both work full-time outside of the home and we had to really figure out how to make childcare work for three kids. When we found out we were expecting, Harper was already in daycare five days a week. We loved her school and felt comfortable sending our second child there. 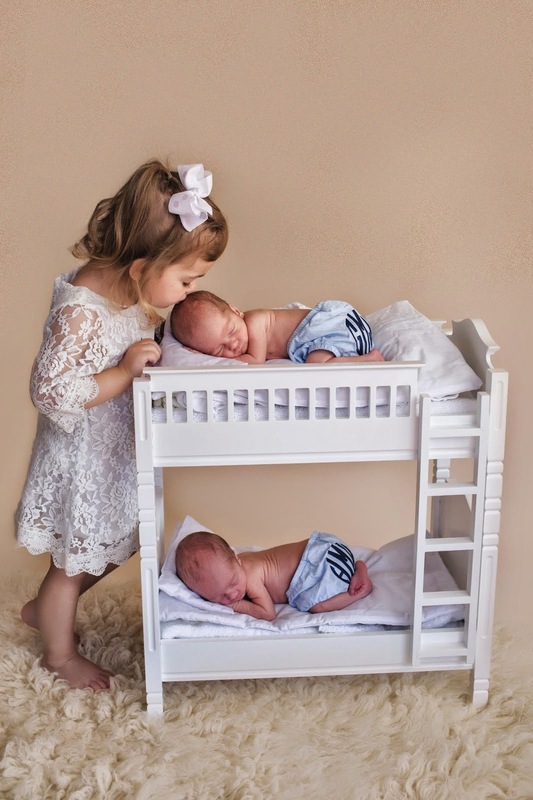 When we discovered it was twins, we knew we could not afford full-time daycare for all three kids. The average price for an infant in daycare (for our area) is around $300 a week. We started doing research on local nannies, in-home care, au pairs, quitting my job, downsizing, etc. We knew working was still best for our family, but couldn’t figure out what to do about childcare. I guess you could say I was slightly in denial, b/c I went into labor at 34 weeks and we still had not made a decision. After looking over our options again, we took a HUGE leap of faith and decided to go with an Au Pair through the agency, Cultural Care Au Pair. An au pair is a domestic assistant from a foreign country working for, and living as part of, a host family. Since the au pair would live with us for one year, we needed to make sure she would be comfortable in our home. Our one story home has a finished basement that includes a bedroom, bonus room, and full bathroom, perfect for an au pair. Since it takes about 4-6 weeks to get a visa and another two weeks to get them to U.S., we had five days to make a final decision. We were matched (via the agency match maker) with a few profiles, sent several emails to au pairs, and skyped with two. 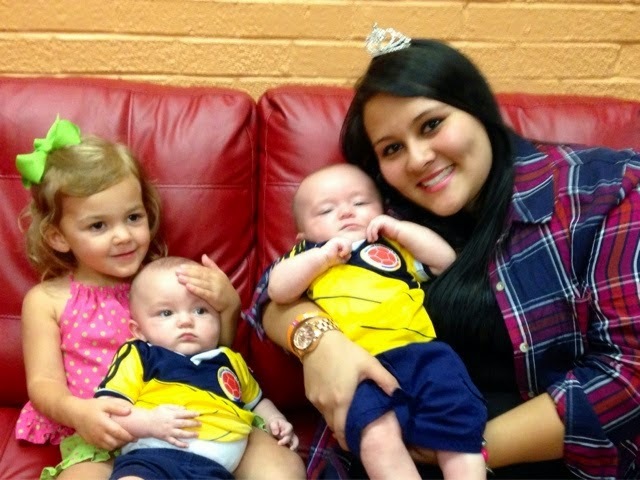 My gut kept telling me that an au pair from Colombia was the right one for us. After one more interview, and a fast approaching deadline, we decided on Eliana. 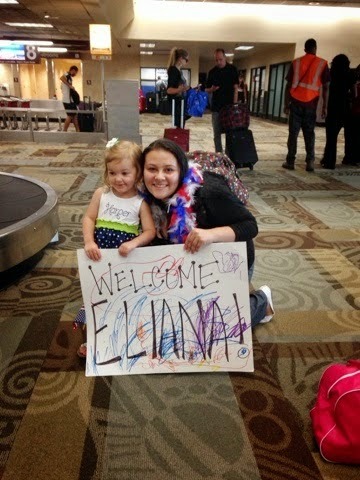 Eight short weeks later, Eliana flew to the New York for au pair training and then flew to Nashville. We were so nervous, but I also felt oddly calm about the whole thing. Eliana “Eli” spoke a little English, but was very eager to learn. Also, there is a great translator app that we used the first few weeks. I was still on maternity leave and took that time to get her a learner’s permit, bank account, cell phone, and social security card. She settled in, and after a few weeks it was like she was a part of the family. 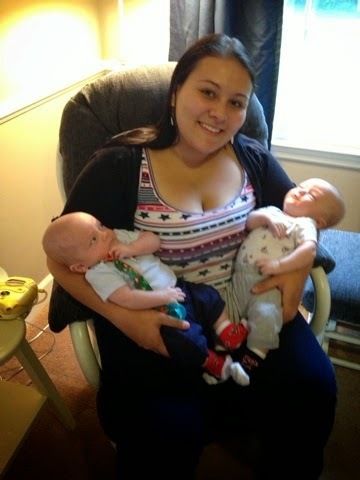 The day after the boys turned three months, Eli officially began working as our au pair. Through her program, she works 45 hours a week for a weekly stipend of $196. We decided to keep Harper in daycare so Eli could focus on the boys. Her program also requires six credit hours of school, two weeks vacation, and monthly au pair outings with the other au pairs in the area. These outings are where she has met her close friends. We have provided a cell phone ($35 a month, not required), a car (not required), and $500 toward her education (required). There are a few other program fees, but overall, this is still cheaper than two kids in daycare. We know an au pair is not for everyone, but it is what works best for our family. Eli loves my children and we love her. She has really become an extended member of our family. Every morning Harper wakes up asking to see Eli and the boys smile so big when she starts for the day. She is already talking about staying a second year (she has the option to extend) and we are praying she does. The care of your children is a huge decision. If any readers are considering an au pair and have questions, I am here to answer. I knew very little about the whole thing and it has been the biggest blessing for us. If you have questions for Allison, CLICK HERE to email her! This was very insightful!!! I've always imagined what having an au pair is like from movies :) Glad to get a peek into someone's real life!!! Sounds like an amazing and awesome arrangement and works very well for your family.